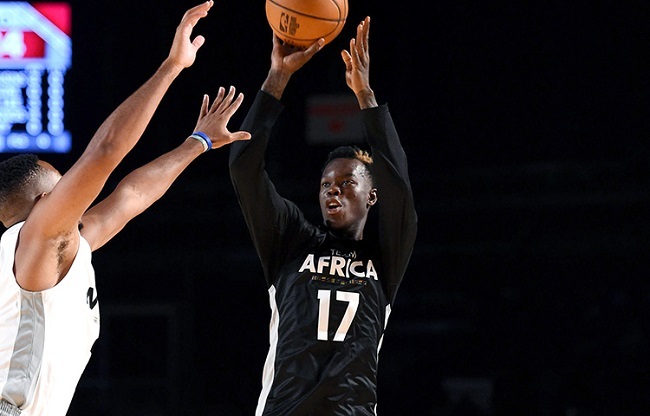 Dennis Schroder takes a shot for Team Africa. In the nicest way it can be said, the NBA appears to be trying to take over the world. Think back to the famous 1992 Olympic “Dream Team” experiment. Would it be short-sighted to believe that was simply about winning gold medals? With each blowout victory on the court in Barcelona, Spain, Michael Jordan and Larry Bird and Co. were exposing that much more of the world’s population to high-level basketball. And as a result, the rest of the world started to get more into basketball. Twenty-five years later, the NBA is truly a global game. Back in ’92, with the exception of a handful of Europeans, the league was pretty much made up of the best basketball players in the United States. In 2017, the league has stars from Canada, South America, Europe, Asia, Australia and Africa. The league’s latest efforts to sell and spread the game in Africa have manifested in an annual exhibition game on the continent. The third edition of the NBA Africa Game took place on Aug. 5 in Johannesburg, South Africa. Three Muslim NBA players were involved: Atlanta Hawks point guard Dennis Schroder, Minnesota Timberwolves center/forward Gorgui Dieng, and Dallas Mavericks center Salah Mejri. All three were on the “Africa” team that lost 108-97 to the “World” team. Schroder, who led the Hawks to the playoffs this past season and is now established as the face of the rebuilding franchise, had 13 points, three assists and one steal. Schroder grew up in Germany but is of Gambian descent. Dieng, a native of Senegal who started every game for the Wolves this past season, had four rebounds and two blocks. 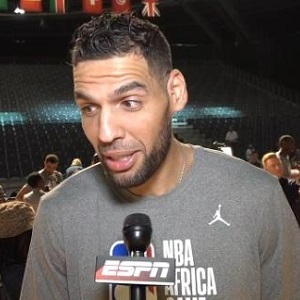 Mejri, a backup for the Mavericks who is the NBA’s first and so far only player from the African nation of Tunisia, had two rebounds, one steal and one block in the game that drew 10,000 fans to the TicketPro Dome. “It’s incredible that basketball is growing in Africa,” said Mavericks superstar Dirk Nowitzki, who played on the World team, to reporters after the game. “There are more and more African players in the NBA, but also in the universities.